Sue is lucky enough to work with several very talented Harpists, ensuring that we can always provide a duo for your special day or corporate event. As a performer, Charlotte is a joy to listen to. Her range of music is extensive and includes classical, jazz, swing, Celtic, Scottish and modern favourites plus, of course, her own compositions. 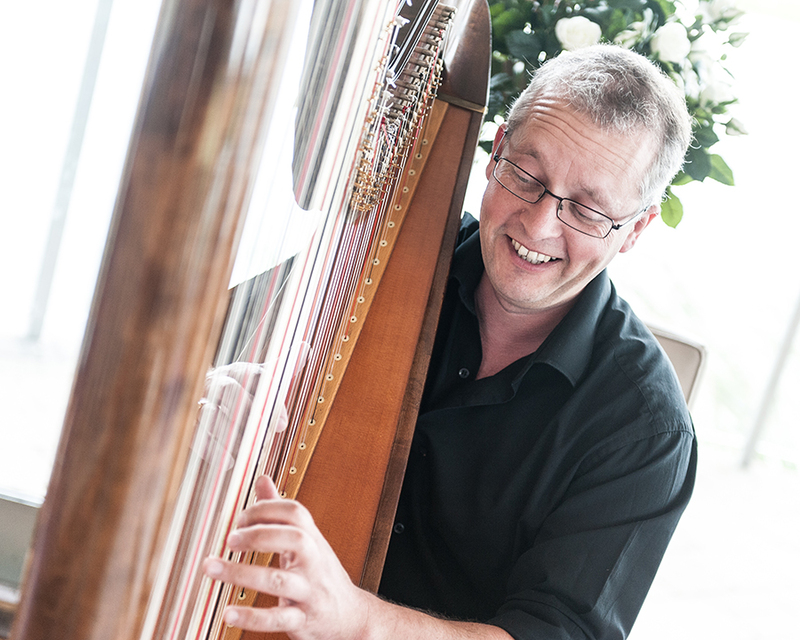 Iain Hood is an experienced harpist with over twenty years’ experience playing music for a wide range of events. His repertoire covers everything from classical favourites to mystical Celtic and jazz standards. Iain is happy to play film favourites or popular modern music to suit your event. Iain studied at the Royal College of Music in London and has been the resident harpist at the 5 star Balmoral Hotel, Edinburgh for the last 17 years. Iain plays two types of harp: the Celtic harp (clarsach) and the concert harp. Iain and Sue formed the Silverstrings flute and harp duo 17 years ago. For that Celtic touch they use flute and celtic harp, and for more traditional classical melodies or modern love songs use flute and concert harp. Meredith McCrindle is a native of Houston, Texas. In 2009 she moved to Scotland to begin her postgraduate studies at St. Andrews University in Fife. 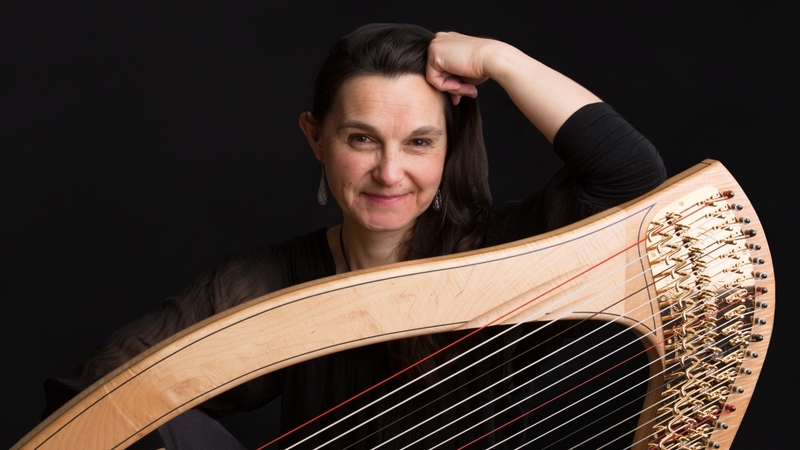 She has played professionally since 1999 and has been teaching harpists of all ages since 2004. Meredith maintains an active performance career, which includes many weddings, special events and guest appearances in Ayrshire and across Scotland. Meredith received her Bachelor’s degree in Harp Performance from Loyola University, New Orleans. 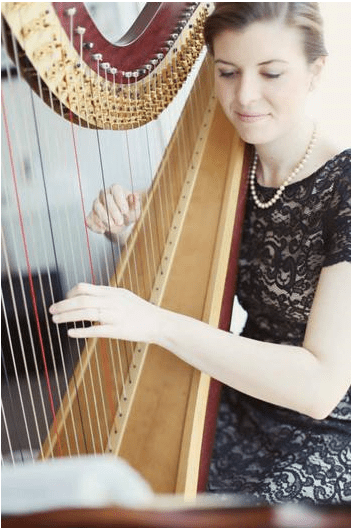 Meredith received her postgraduate degree from the University of St. Andrews, where she was awarded a harp scholarship, while studying management in the creative industries. Currently, Meredith is the resident harp instructor at the Wellington School, Ayr. Copyright © 2019 Sue Evans Music. All Rights Reserved. The Matheson Pro Theme by bavotasan.com.